يحظى فندق Best Western BKs Pioneer Motor Lodge Hotel بمكان متميز في محور المدينة والاستمتاع بـ تسوق, سياحة, الأعمال في هذه المنطقة الفاتنة. يسهل الوصول إلى هذا الفندق ذو 4 نجوم من المطار، فهو يبعد عنه مسافة 3 km فقط. يقع هذا الفندق الحديث على مسافة قريبة من المعالم السياحية الشهيرة. يعمل Best Western BKs Pioneer Motor Lodge Hotel على ضمان إقامة مريحة لضيوفه من خلال خدماته الممتازة وحسن ضيافته. يقدم العقار واي فاي مجاني في جميع الغرف, مجهز لذوي الإحتياجات الخاصة, مكتب الاستقبال على مدار الساعة, مرافق مخصصة لذوي الاحتياجات الخاصة, تخزين الأمتعة لضمان الراحة القصوى لضيوفه. تعكس غرف الفندق البالغ عددها 37 المنتشرة في 2 طوابق جواً من الدفء والألفة.خدمات عصرية مثل تلفزيون بشاشة مسطحة, سجاد, مرآة, مناشف, كاشف دخان موجودة في بعض الغرف المختارة. كما أن مجموعة الخدمات الواسعة الموجودة في الفندق لضمان راحتك تترك لك الكثير من الخيارات لقضاء وقتك أثناء فترة إقامتك. مهما كانت أسبابك لزيارة المدينة، فإن Best Western BKs Pioneer Motor Lodge Hotel هو الخيار الأفضل لإقامة مثيرة وممتعة. 24 hour free airport transfer to/from both terminal using their courtesy phone in airport. Hotel is not far from airport, like within 10 mins. A few restaurants and basic grocery are within walking distance. Check in was fast, easy & friendly. We are satisfied with our stay. We loved the recliners! sat and watch TV there absolutely awesome. Even though there was a night where the tv was down, the reception quickly sent someone down to fix it. Huge and comfortable bed. Decent kitchen for making food for 2. Would recommend to stay again! We chose the hotel because our flight arrived after midnight. Their free shuttle bus service picked us up very promptly after we made the call. Their check-in process was very fuss-free too. Room was quite spacious, clean, and it had everything we needed for a couple of night. However, we couldn't sleep very well because of the noise from the street, from people passing by in front of our room, and from people staying in the room above us. If you're a light sleeper, perhaps you might want to choose the upper-floor rooms instead. We had booked this accommodation well in advance of our stay to attend the Rodriquez concert at Villa Maria Winery. The tour company cancelled the concert 10 days prior to the event. When we approached BK Pioneer with 10 days notice they advised as we had booked through Agoda and not themselves and had a nonrefundable booking they could not do anything. We felt circumstances had been beyond our control and as they had plenty of time to re advertise and re book our room we were very disappointed with their response, with no effort made to come to some sort of comprise. As a result we lost $172.50 as we were from out of town and were only going up to Auckland to attend this concert. Due to the experience we will not be choosing to stay with Best Western nor book with Agoda again. The check-in clerk was helpful and friendly. The room was clean and modern with a kitchenette and a recliner . The bed had clean crisp sheets and was very comfortable. The bathroom had a wet floor shower which was a pleasant surprise. We left our phone charger behind and when we phoned to ask about it they phoned the next morning saying that they found it and would send it to us. We had it back in 2 days. All-in-all a very pleasant experience. We stayed here before my flight and it was comfortable, clean & the room was well presented. Close to the airport and had a friendly staff member on nightshift, great attitude and accomodating to my late arrival. Effortless and stress free. Great value for money. We stayed one night after dropping off our campervan before an eart flight the next day. Easy access to airport with free shuttle, we also found it useful having a kitchenette to use up any leftovers from the campervan. We found everything good about our stay at the Best Western. Staff were always helpful, the room was a good size. 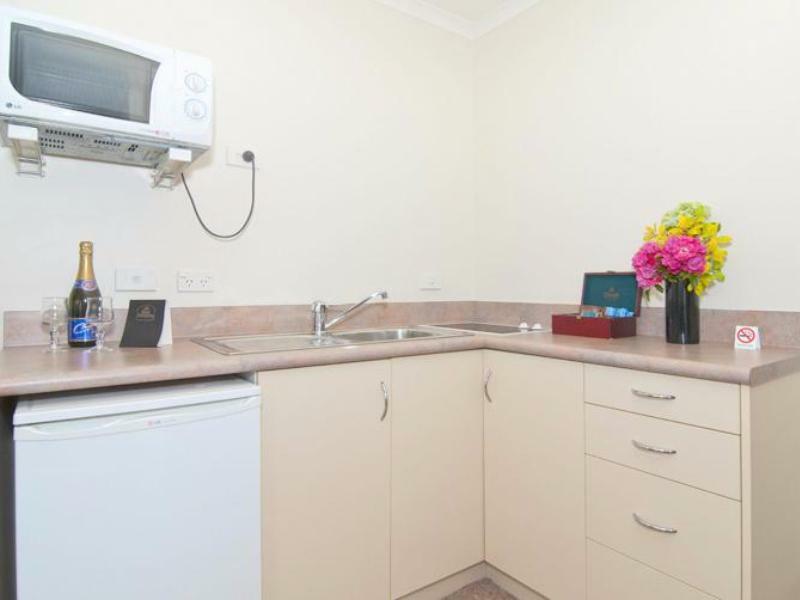 The kitchen facilities were enough to have some meals there with fridge, toaster, kettle and microwave. There was a little supermarket and a couple of restaurants within walking distance which was handy. The shuttle to and from airport was good. Consider very nearby with Airport. (10min taxi drive from hotel) Hotel location very good with some food store nearby; but need to be early, or else, no more food store available nearby. After 12am only can go drive through at McDonald nearby (need take taxi). Please take note. Comfort room with cooking facilities. my room at the secong floor. But the staff is kind. Mr Ramesh he help us with the luggage. Other staff also was very helpful. Beautiful motel. Stay there for 2 nights before we took flight to Christchurch. Stayed here as it is so close to the airport and I could leave my car there while I was away. Room was spacious and well fitted out with a very comfortable bed. Wake up call was right on time as was the shuttle to and from the airport. Staff friendly and willing to go that extra bit to ensure you had everything you needed. Would definitely recommend and will stay there again. Based on the overall review score I was expecting a standard motel room that would do the job for one night before our early flight home. But the room was surprisingly good. Loads of space - perfect for re-doing our packing for the flight - a comfy bed, decent bathroom with jacuzzi bath and sparkling clean. If it had had a stove we might have cooked a basic dinner there, but it just has a microwave and toaster so we decided to go out. There are a few places within walking distance - nothing special but got us fed. The member of staff on duty was really helpful too. We wanted to drop our rental car off at the airport in the evening, rather than rush around in the morning, and as he was going to do a pick up he showed us the way to the rental car place and then came back to pick us up. We also used the free shuttle service in the morning. I'd certainly consider staying there again if in need of a hotel at the airport. We were on a flight beginning in Bangkok then transiting at Melbourne to Auckland. It arrived approximately at midnight. I wanted to make sure that we would get some sleep before we moved on to the Central Business District of Auckland. They did provide free shuttle bus service 24 hours a day, and it was only 3 Km from the airport. Had to find breakfast since they had none, and that was our first impressions of New Zealand, a very expensive breakfast buffet at the Holiday Inn. Our overall stay at the Best Western BK Hotel was adequate and met its purpose. 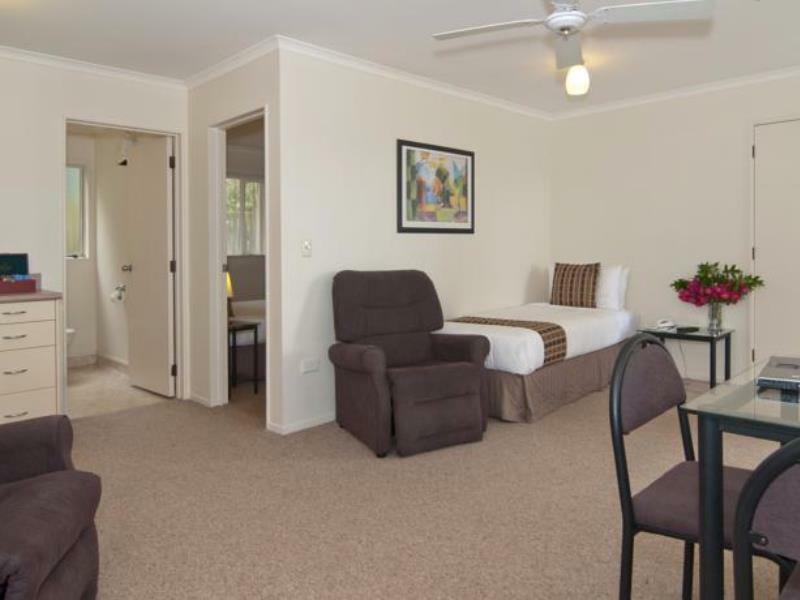 Great value hotel, for overnight stay when flying into or out of Auckland. My room was immaculately clean, and had everything I needed. The staff were very helpful too, and the airport transfer was excellent. We stayed here the night before we flew out of Auckland on an early flight. The check in was easy and the receptionist was very friendly and helpful. She told us where we should eat and offered help with our bags as well as free shuttle to the airport. The room was very comfortable. We were fine and there was a small fan heater that would have done the job if needed but it would have been nice to have air conditioning. The bed was a little firm but the shower was great. I would stay there again. Room has almost everything, hair dryer, microwave, kettle, clothes iron, portable warmer. Hot water shower is stable and quiet even next to expressway. A 20 mins walk to countdown mangere & Pak n Save mangere. 10 mins walk to Maui campervan airport collection centre. Quick check in and check out without hassle. Our flight was 5 1/2 hours late landing. The man picking us up in the bus couldn't understand we were booked in for that night as it was already 5.30am when he pick us up. He wanted us to come back at 1pm to check in. I tried to explain that although we only had 4 hours until check out we were still entitled to the room as it had been paid for. He said there were no key left and I had to point in out on the desk and he had to get his boss to sort it out which delayed us getting to bed even later.